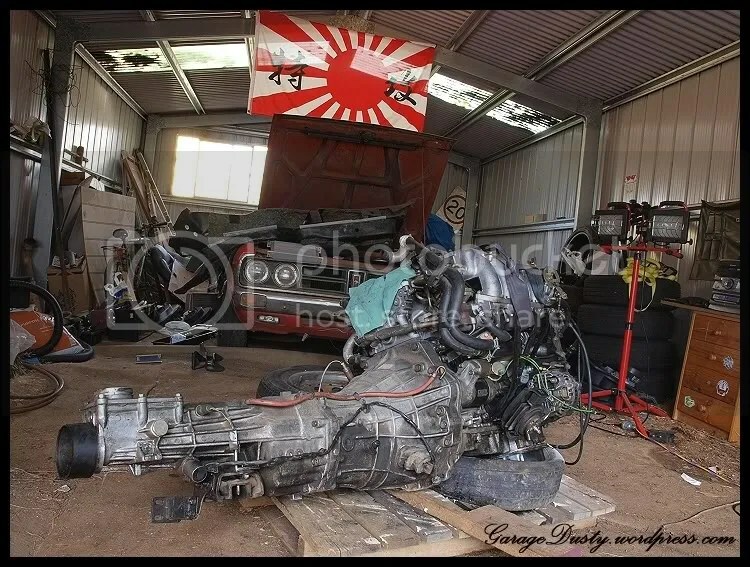 Project Silvia: Engine In – Garage Dusty Exciting Car Team! With big thanks to Woodsy for the crane, tools and general handiness, the engine dropped back in today with no major dramas. And there it is. Back where it goes. Pretty happy with how the white rocker cover looks. 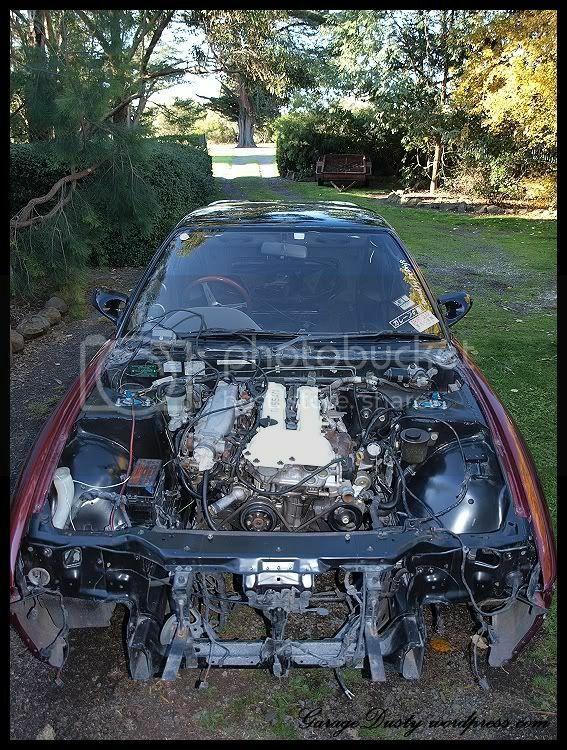 Adds a bit of very subtle engine bay bling. 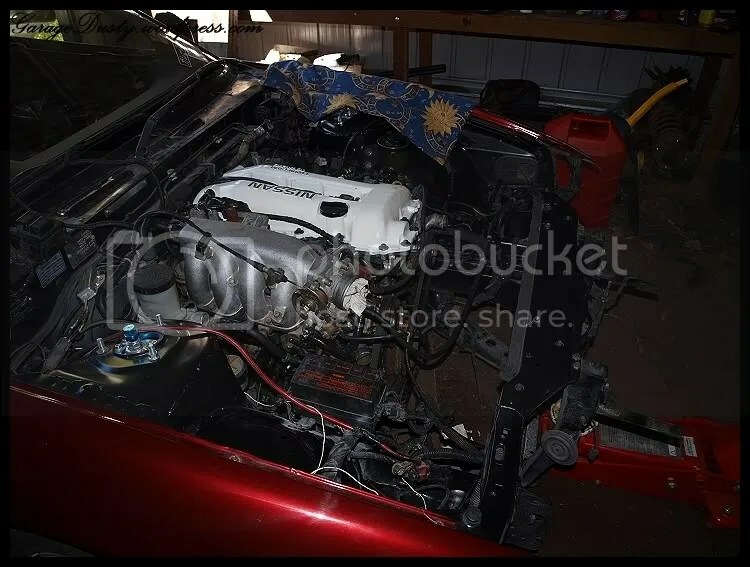 Should look good with the new radiator, cooler piping, etc. 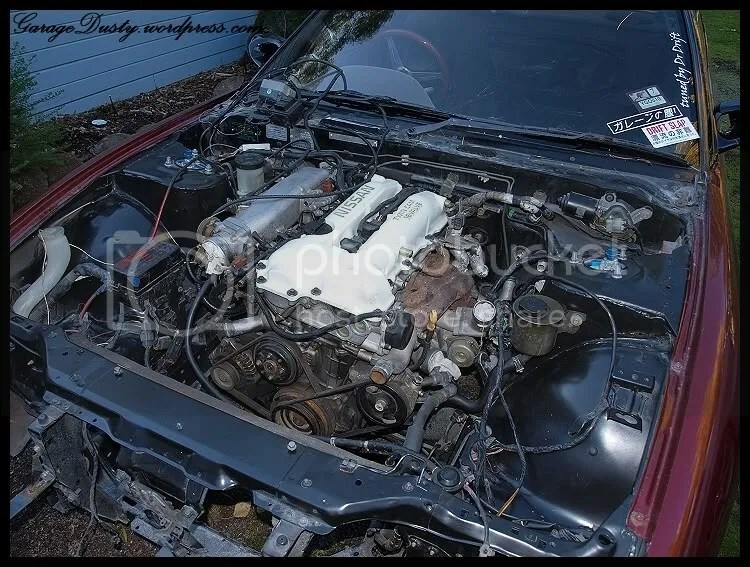 Newly painted engine bay thanks to Primal Garage looks great too. Will keep going over the next couple of weeks plugging stuff back in and generally stuffing around with it. Don’t expect much progress next weekend though – heading to Superlap!